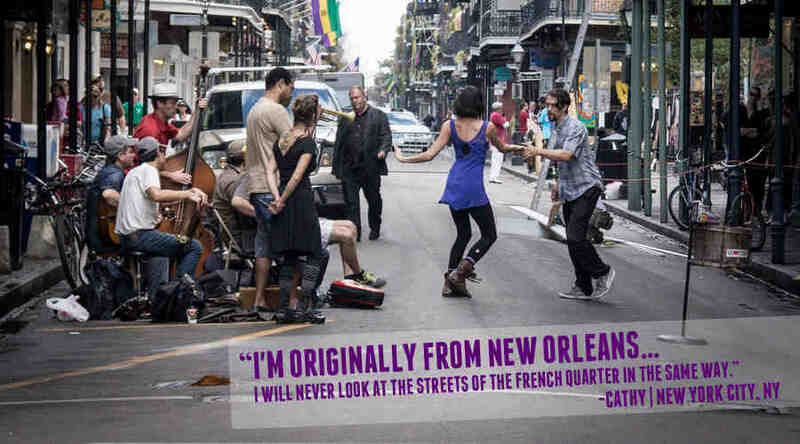 Learn about our "Cities of The Dead"
The French Quarter: New Orleans oldest neighborhood. 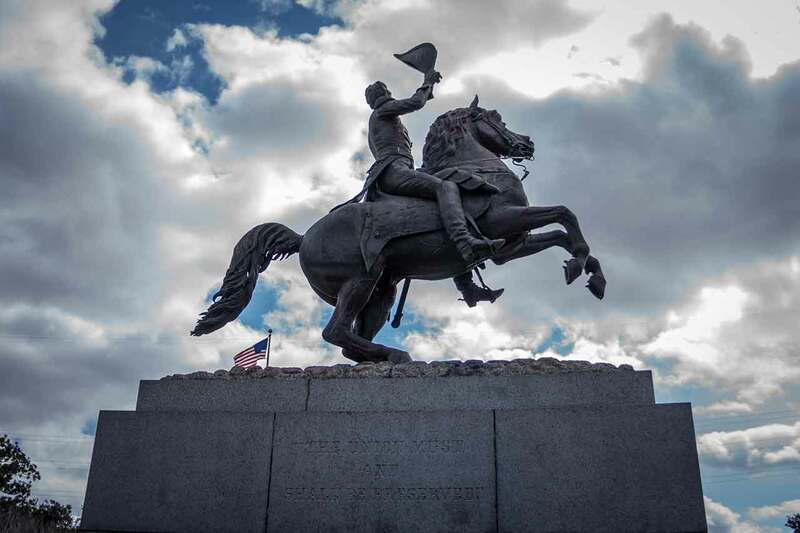 The French Quarter is a place of constant change, settled by the French, ruled by the Spanish, occupied by the Americans, and the second largest port of entry for Italian immigrants in the 19th century. In the 20th century it became a haven for artists, musicians and bohemians. 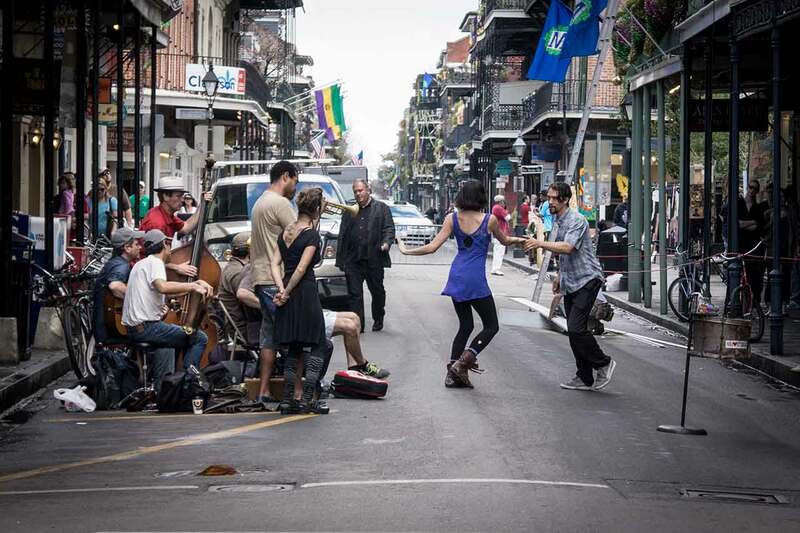 After the tour it will become apparent why New Orleans is Americas’ Most Interesting City. You can book now or just show up. The tour meets at 11am at 768 Decatur. And Remember our tours are FREE! 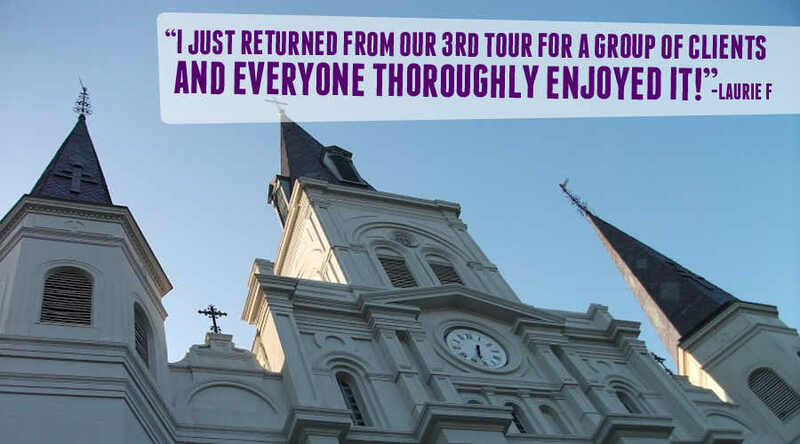 We are so sure you will love our walking tour of the French Quarter and St Louis Cemetery #1 that you will gladly pay what you feel the tour is worth, it’s the best money back guarantee in the business! The latter half of the tour is devoted to what Mark Twain referred to as one of our “Cities of the Dead”. New Orleans in 1790 was expanding exponentially. This created a problem: in a city where high ground was at a premium for the living, there was no place for the dead. To solve this problem, St Louis Cemetery was constructed in a swampy section behind the city referred to as “a city of the dead” by Mark Twain. 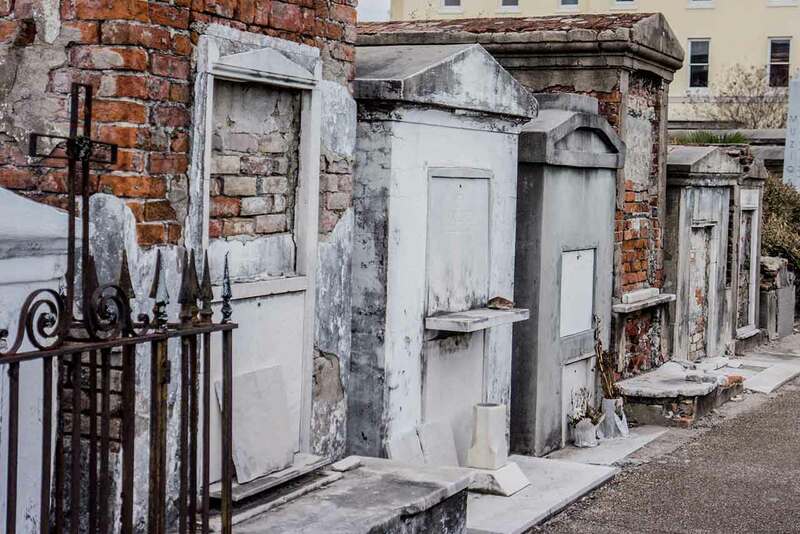 A great place to learn about the history and traditions of City Of New Orleans is by exploring this city of the dead, the oldest cemetery still in use in New Orleans . 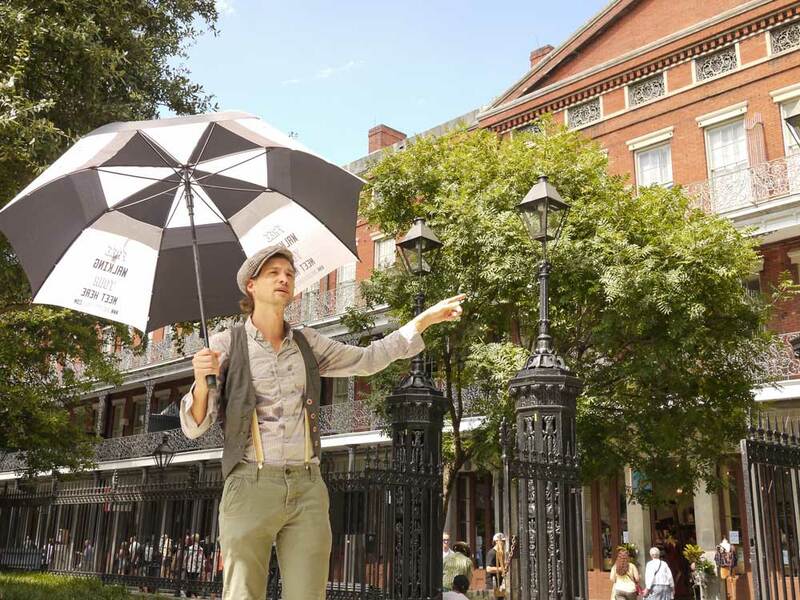 Nola Tour Guy offers the only Free Walking Tour of the French Quarter and St Louis Cemetery #1. A tour guide is required to enter St Louis Cemetery #1. We feel like it is vital that everyone gets a chance to visit our oldest Cemetery, St Louis #1, and learn about our unique history for a price they can afford. How can we do this? 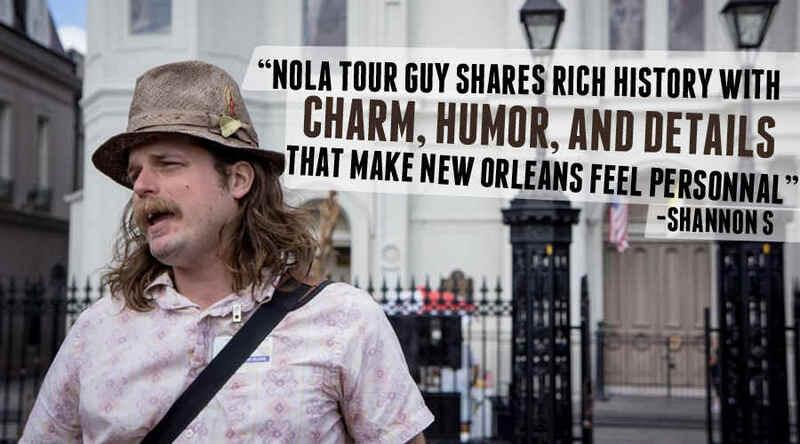 Well, we are so sure you will love our walking tour of The French Quarter and St Louis Cemetery that you will give us a small contribution(typically between $10-20 a person.) so we can continue to offer this service. It’s the best guarantee in the business. 768 Decatur. Walk up the steps, we meet by the Cannon. Your guide will be holding an Umbrella that says: “FREE TOUR MEET HERE”. Space on the tour is limited so we recommend booking online or via call/text (504)300-9489. Walk ups accepted. Please arrive promptly. Tour starts everyday at 11AM and 2PM on certain days, please click Book a Free Tour to check availability. Please limit group size to 6 adults. If your group is larger then 6 adults please book a private tour. 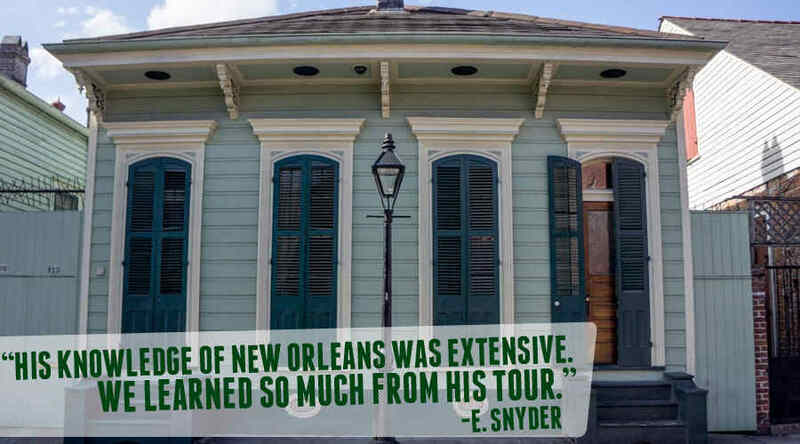 Immerse yourself in 300 years of history in the heart of New Orleans. 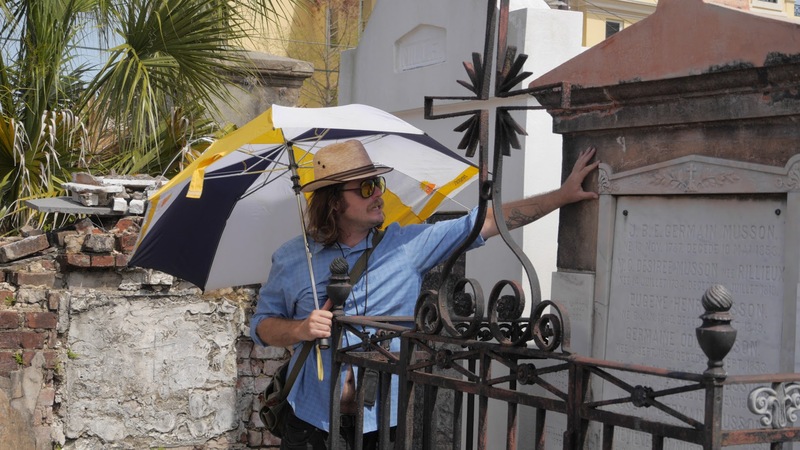 This tour covers the complete background of the French Quarter, the oldest and most vibrant neighborhood in the city, and ends at St. Louis Cemetery #1, our oldest cemetery. Where: We meet at Washington Artillery Park, 768 Decatur. Walk up the stairs we meet by the Cannon. And remember our tours are FREE! 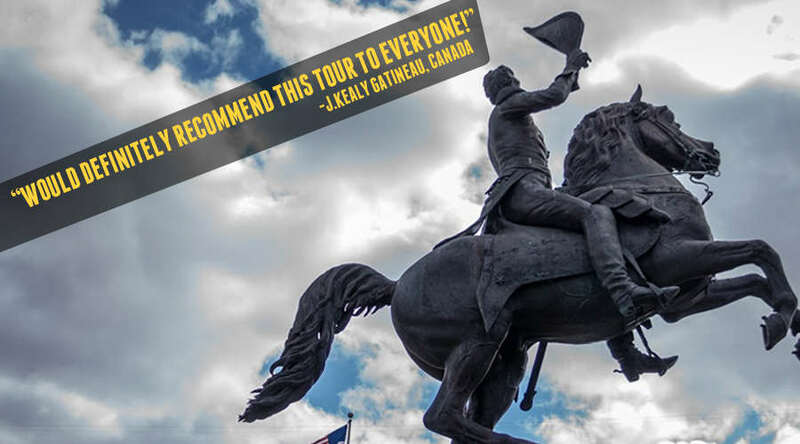 We are so sure you will love our walking tour of the French Quarter and St Louis Cemetery #1 that you will gladly pay what you feel the tour is worth, it’s the best money back guarantee in the business!.